My choices determine how I experience life. I learned that my perception and attitude to life experiences are stronger than the events themselves. A year ago, my dearest childhood friend asked if I would do her the honor of presiding over her wedding which was to take place in beautiful Oahu. The honor was all mine. My brother lives in LA, so it stood to reason that I would stop for a couple days to spend time with him. The itinerary was 2 days in LA followed by 6 days on Waikiki beach, then back to LA for a day, then home. Off to the airport I went, full of anticipation and excitement. 10 days of sheer bliss. Alone time with my brother, beautiful sandy beaches, time to read, reflect, drink cocktails, have fun, spend time with old friends and yes, the cherry on the top, officiating at the wedding of my dearest friend and the dedicated, loving, unique wonderful soul who was to become her husband. I will keep what ended up being a very long story short. 3 flight cancellations, a drive back home before leaving the next day, a convoluted stopover schedule, less than 18 hours in LA (and almost missing a flight), finally landing in Oahu – 66 hours later – without my luggage. I wore the same clothes for 5 days… awesome trip right?!? Actually, yes, it was. When the first glitch in the plan arose I thought, ‘ya know what Tanya? Paradise is waiting on the other side, don’t lose sight of that.’… and I didn’t. Instead of stressing when something went ‘wrong’, I chose to make the best of right now. When I was waiting 2 hours in a plane that didn’t take off, I happily sat there reading a book that had been on my bookshelf for ages. When I got back home that night, only to take off the next day, I hugged my family and we laughed about the craziness. When I arrived in LA, my brother and I talked and talked and talked (almost missing my re-scheduled flight to Hawaii) packing 2 days into 18 hours. And finally, when my bag arrived at the hotel, 5 days later, I changed clothes each time I went into my room and wore every single outfit I brought with me in the 2 days I had left. I enjoyed every moment of that trip. Ok I’ll admit: When my bag still hadn’t arrived the day before the wedding, I got a little cranky. I’m not a shopper so the thought of having to spend time buying a new dress didn’t thrill me. But the airline called in the nick of time and I had my dress for the wedding. My take away from that was ‘you get what you ask for’. When my bag didn’t make it to LA, I kept thinking ‘as long as I have my dress for the wedding, it’s fine’. And guess what? The Universe provided. I got exactly what I ‘wanted’… who’s laughing now? Am I saying that I do this every time things don’t go according to plan? No. But those stories are for another time. What it demonstrated to me, in a profound way, is that life is what you make of it. I had every reason to be miserable, upset, unhappy and whingey, but I wasn’t. I single-mindedly chose not to let anything stand in the way of the great experience that was in my grasp. When I started to think I about what was going wrong, I looked around me and smiled. When people wanted to commiserate with me on the tribulations of my trip, I just nodded and changed the subject. The wedding was magnificent. The Bride and Groom were elated, we were in one of the most beautiful places in the world, and 2 remarkable families who are witty, dedicated and loving came together to celebrate this special moment. I am grateful for having been included. Did things unfold like I thought they would? Absolutely not. But that was no reason to cast shadows on my experience. When things don’t go according to plan, we have a choice. We can choose disappointment, frustration and anger. OR, we can limit the time we think about what’s going wrong to what’s productive, then look at the positive experiences and opportunities the new direction is offering us. I truly believe that things work out for the best and that the ways of the universe always have my best interest at heart, but that is laying the responsibility somewhere outside of myself. I would rather empower myself by realizing that my decisions, choices and actions truly determine how my life unfolds. I choose to walk away from victim mode where my pattern is ‘isn’t it awful that it’s happening to me’ and instead, take my experiences in hand, reject thinking that reflects on things in the past, and understand that I can only take action and change things from this point forward. I focus on what I can change to make me feel better right now. but you can change what you do with it. Tanya Arler is about real change, right now. 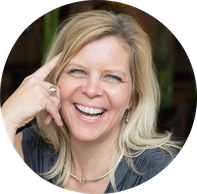 Her blogs and videos offers grounded spirituality and practical wisdom infused with contagious enthusiasm. In her individual work, her direct approach and unique techniques create deep shifts and a-ha moments that have helped countless people shape their lives into exactly what they want it to be. She listens deeply, responds authentically and guides you whole-heartedly.